“To Sleep, perchance to dream.” It’s one of my favorite Shakespeare quotes mainly because of the sleep reference, not so much the dream. Whether or not, Bill had a Beautyrest Sleeptracker monitor of his own, we’ll never know. But sleeping was clearly on his mind. Yeah, I love sleep. Always have. Most likely, always will. As a kid I was the poster child for sleeping teenagers. I honestly didn’t even know there was life before noon on the weekends, since I’d usually wake up around 1 pm. Of course, those late late nights and very late mornings pretty much went by the wayside once I was married and had kids. Sure my boys are now basically teenagers themselves and I do get a glowing pride when Jason doesn’t come downstairs for breakfast until 10 or 10:30 am on the weekends. He’s learning! You’d think with the kids sleeping late nowadays that I could revert to my old sleep schedule. But sadly, no. My body has betrayed me and it forces me awake as early as possible no matter how tired I am. In short, my sleep schedule is totally out of whack. I work a full day at the office and then generally work nights at home on Mommy’s Busy, Go Ask Daddy. The later I stay up, the grumpier I am in the morning. And of course that can make for a bad day at the office all around. Which, in turn, leads to a tired, cranky daddy when he comes home from work to be with his family. Clearly, I need to change things. I need to find a better way to manage my sleep during the week so that I don’t completely crash on the weekends. When that happens, I’m just wiped on Saturday and Sunday and don’t really have the energy to keep up with the kids. And as two boys who love being glued to YouTube on their computer monitors, I need to get them energized and outside too. It’s never too late to change your habits. There’s definitely a balance out there if I can find it. And thanks to the Life of Dad gang and the sleeptastic folks over at Beautyrest, I think I may have finally found the tools to help me out. 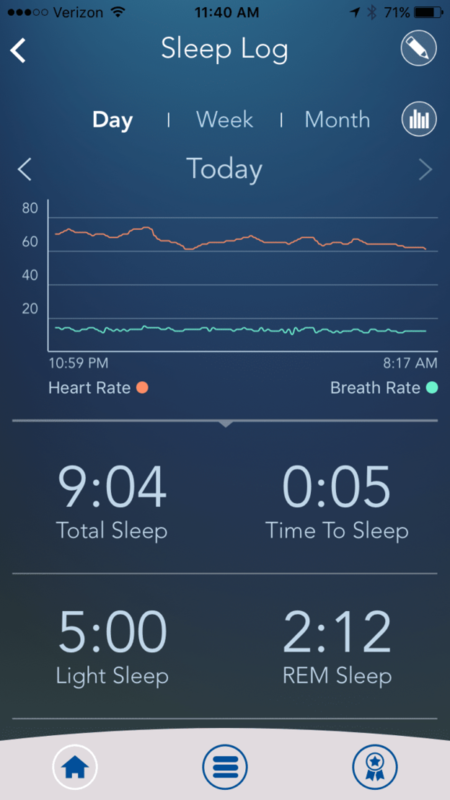 It’s called the Beautyrest Sleeptracker monitor and it does exactly what the name suggests: it monitors your sleep and provides personalized insights to help you perform at your best. Forget about those annoying wearables you need to sleep with (Who sleeps with a watch? Seriously? I don’t even sleep with socks on.). Not to mention they constantly need charging and it’s a miracle if I manage to plug my smartphone in before I pass out for the night. The Beautyrest Sleeptracker monitor is crazy simple to install and use. You plug the small processor in and store it under your bed. Then simply plug in one or two of the sensor systems to the processor using a standard USB cable. Each sensor is roughly the size of a smartphone, only thinner and super lightweight. You just slide this between your mattress and frame (or foundation) in the area of your pillow. And that’s it. Set it and forget it! 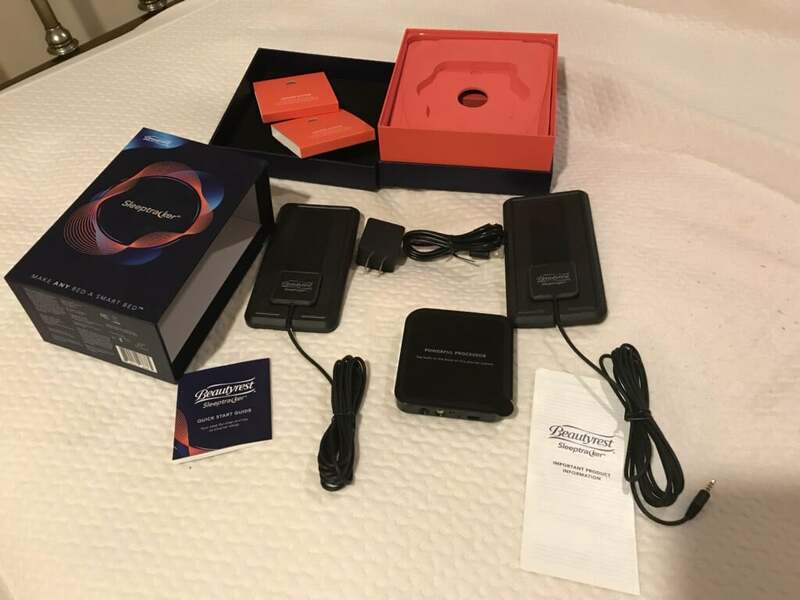 Beautyrest sent me my very own Beautyrest Sleeptracker monitor to take for a test run (or is that test sleep?). With the two sensors, I was able to put one under the mattress on my side of the bed and the second on my wife’s side. 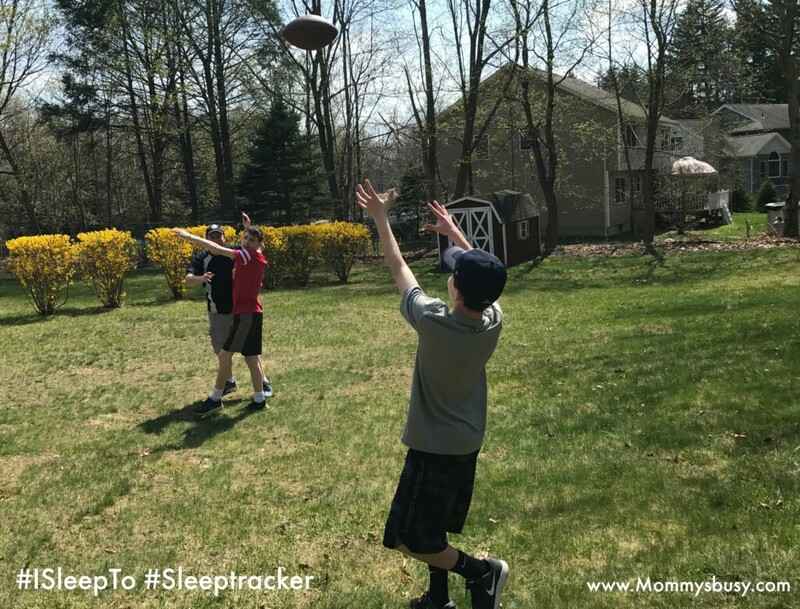 We both downloaded the Sleeptracker app and were on our way to monitoring our sleep habits. The product does more than just spit out data, though. 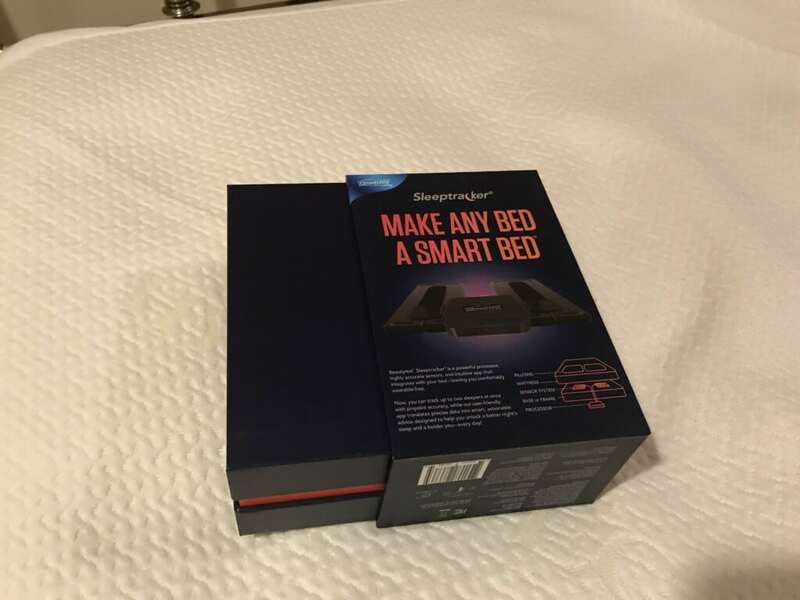 It turns your ordinary bed into a Smart Bed! 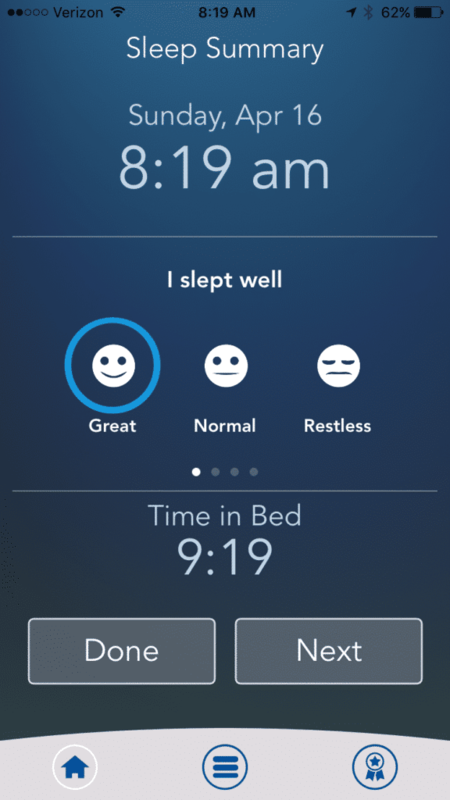 By analyzing your sleep patterns; it offers tips and suggestions for a better night’s sleep. It allows you to set an alarm that will wake you up at the optimal time, and shares tons of reports and studies with you based on your sleep habits. The really fun part for me is the overall sleep score you earn. Allie has made it a point every morning to share her score with me and point out that she’s beating me. 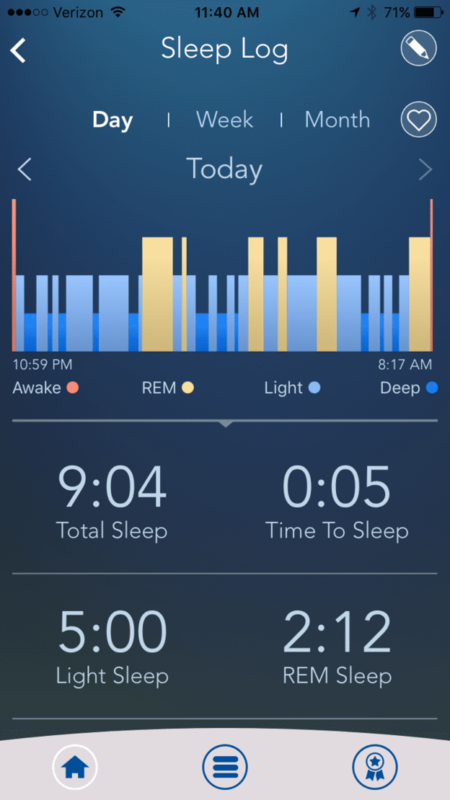 Competitiveness aside, all of the data that I view on my Beautyrest Sleeptracker monitor has one very strong result: it’s made me much more aware of my sleep patterns and how my daily habits affect my sleep. There are also places to jot down notes and even rate how well you slept and how it compared to the previous night’s sleep. It’s all part of analyzing your sleep quality. Taking all the data into consideration, over time, I’m able to really take a good look at my life and realize the major impact certain things can have on my sleep. By implementing just a few small changes into my nightly routine (sure, going to bed earlier is a definite! ), I can wake up feeling so much more rested. To put it all into perspective, #ISleepTo make sure I’m ready to keep up with my kids. Recently, Ryan has gotten himself more into sports. He’s playing basketball with his friends and even signed up for flag football. He wants to play little league this fall. Jason recently joined the track team at school, and while he was “heavily encouraged” to do so by his parents, he does seem to enjoy it. 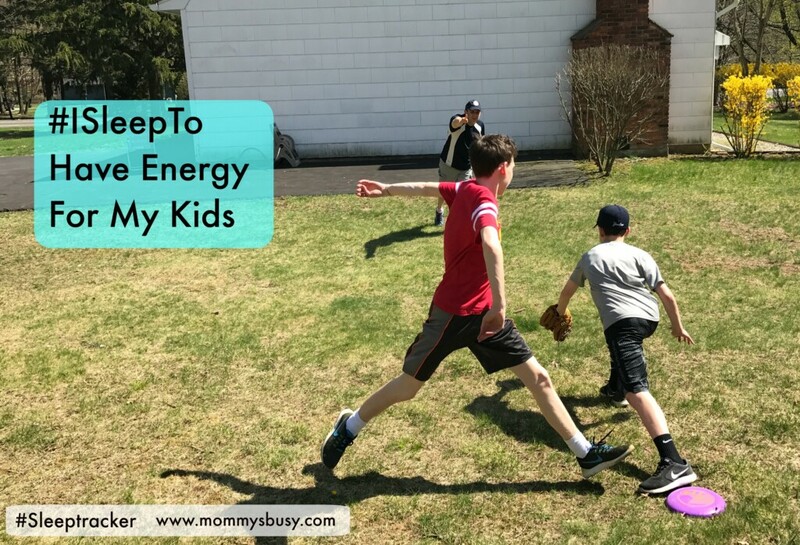 So my kids are more active and the best thing I can do for them both is to show them that I can be active too. I need to push myself so that they can push themselves. No matter what your reasons or your passions in life, a better night’s sleep will go a very long way towards getting you there. That’s why Beautyrest launched the #ISleepTo campaign to help raise your awareness of the importance of sleep in your daily performance. 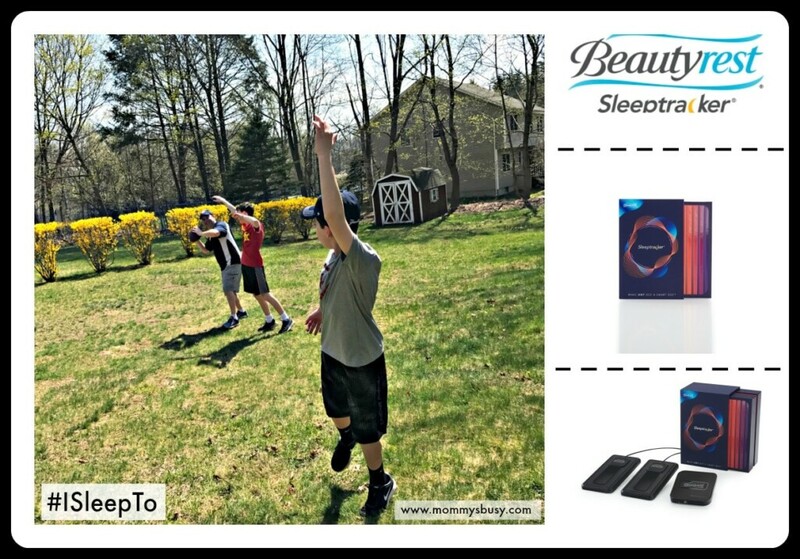 Whether you want to run a 5k, beat your bud in some one-on-one or coach your kid’s T-ball league, let the Beautyrest Sleeptracker monitor help you get your sleep on track! What do you sleep for? This device makes me anxious. I never get good sleep. Whether it’s the kids, the blanket stealing husband, the talkative cat, or something else, there always seems to be a roadblock between me and good night’s sleep. I would feel worse about my sleep if I had this tracker. My husband, on the other hand, could benefit by knowing some info about his sleep and possibly my 10 year old. They both have ADHD and sleep is vital to them.